Michael Tydén, General Manager and co-founder of the Baltic Sea Festival in Stockholm, is awarded the prestigious cultural prize the Baltic Star International Award. The award ceremony takes place on October 8th at the Hermitage Theatre in St. Petersburg. Mr Tydén is the first Swede to receive the Baltic Star International Award. 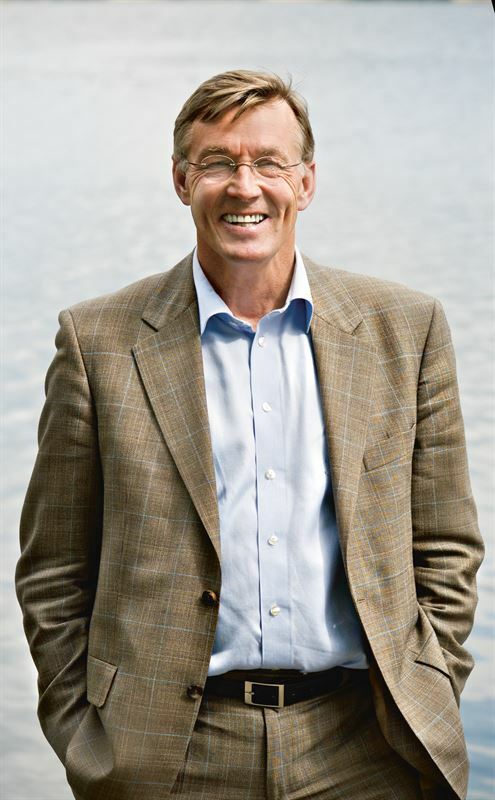 Between 1998-2014 Michael Tydén was the General Manager of Sweden’s renowned concert hall Berwaldhallen in Stockholm. 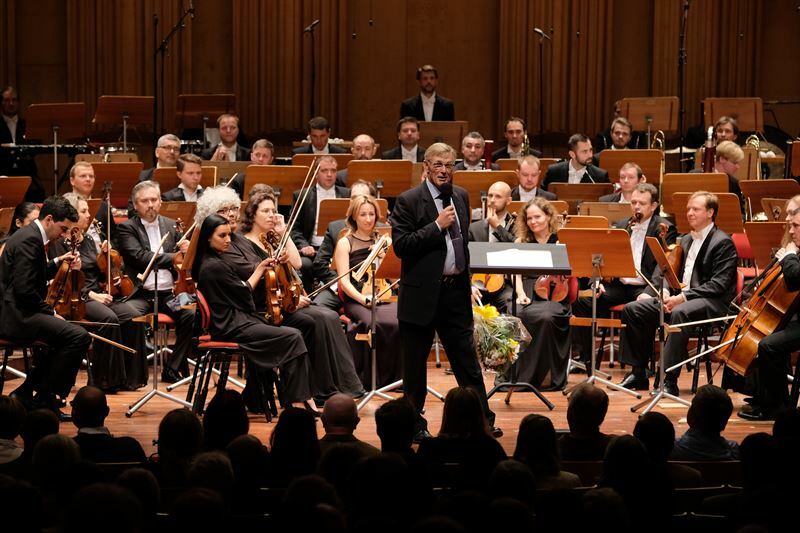 In 2003, together with the conductors Esa-Pekka Salonen and Valery Gergiev, Michael Tydén founded the Baltic Sea Festival, a classical music festival combining music with environmental and leadership issues focusing on the Baltic Sea region. Since its inception Tydén has been the General Manager of the festival. After 16 years, this year’s Baltic Sea Festival was Michaels Tydén’s last as it’s General Manager. “I am overwhelmed and very proud to receive this honourable award, not least in view of all the prominent names that have received it before me, such as Arvo Pärt, Gidon Kremer and Mariss Jansons, just to mention a few. It is a recognition of the Baltic Sea Festival consolidating its place as one of the leading festivals for classical music in Northern Europe. But it’s also a recognition that we have succeeded in creating a common ground for dialogue regarding the sensitive and threatened environment of the Baltic Sea, and the leadership required in order to save it, using classical music as a platform for communication. This is something I’m very proud to have been part of”, says Michael Tydén. The Baltic Star International Award was established in 2004, in conjunction with the annual Baltic House Festival in St. Petersburg. The Award aims to develop and consolidate humanitarian relations in countries of the Baltic Region. The award is given each year in October at a ceremony held at the Hermitage Theatre in St. Petersburg. The Baltic Star Award was established by the Russian Ministry of Culture together with St. Petersburg Culture Committee and the All Russian Theatre Association, the World Club of St. Petersburg Residents and the Baltic House Festival. Michael Tydén is the first Swede to be awarded the Baltic Star International Award. In 2008, film director Ingmar Bergman received an honourable mention in memoriam. In 2012, Michael Tydén received H.M. The King of Sweden’s Gold Medal of the 12th size on a blue ribbon for his efforts, and the WWF's Baltic Sea Award together with Esa-Pekka Salonen and Valery Gergiev for the Baltic Sea Festival initiative. Among previous award winners are composer Arvo Pärt (Estonia), film director Aki Kaurismäki (Finland), choreographer John Neumeier (Germany), conductor Eri Klas (Estonia), composer Krzysztof Penderecki (Poland), pianist Raimond Pauls (Latvia), conductor Mariss Jansons (Latvia), actor Barbara Brylska (Poland), conductor Valery Gergiev (Russia), composer Rodion Shchedrin (Russia), among others. For more information and press photos, please contact Carin Balfe Arbman, Press Officer Baltic Sea Festival, Berwaldhallen, tel. +46(0)70-633 35 08, carin.balfe_arbman@sverigesradio.se. For questions about Berwaldhallen, please contact: Karl Thorson, Press Officer Berwaldhallen, Swedish Radio Symphony Orchestra and Radio Choir, tel.+46(0) 70-431 18 93, karl.thorson@sverigesradio.se.